Posted in: Duratrax, Radio Control. Tagged: New Releases, RC, Upgrades. Duratrax have released two new tread patterns for SC Trucks. The Six Pack SC and the Picket SC will be available in a soft C2 compound, mounted on rims or by themselves and they will come with inserts. The new tires will be available in early September. 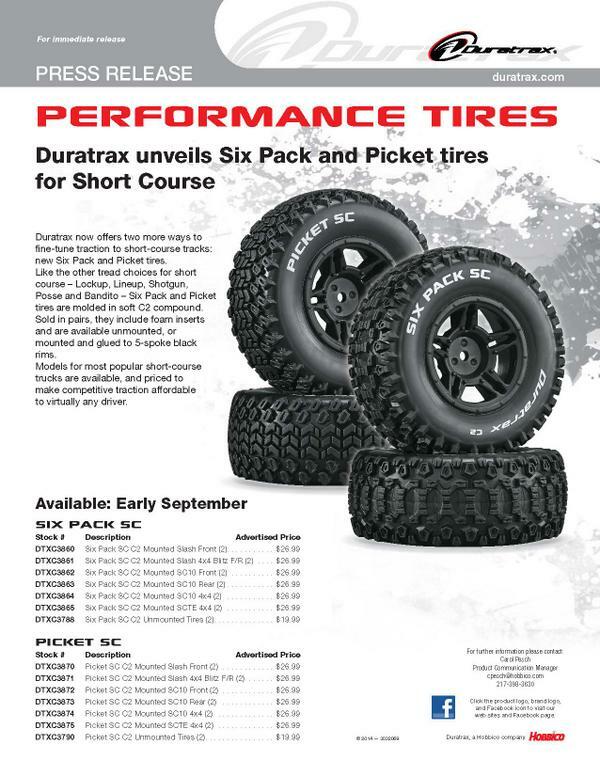 Check out the new pattern in the Duratrax Tire Lineup.